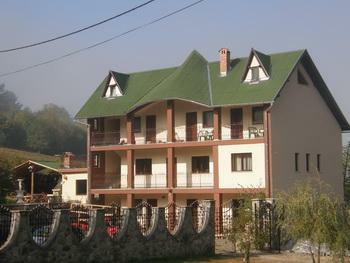 Mókus Pension is situated in a closed valley in the upper side of Bikfalva, which is 14 km from Sepsiszentgyörgy. 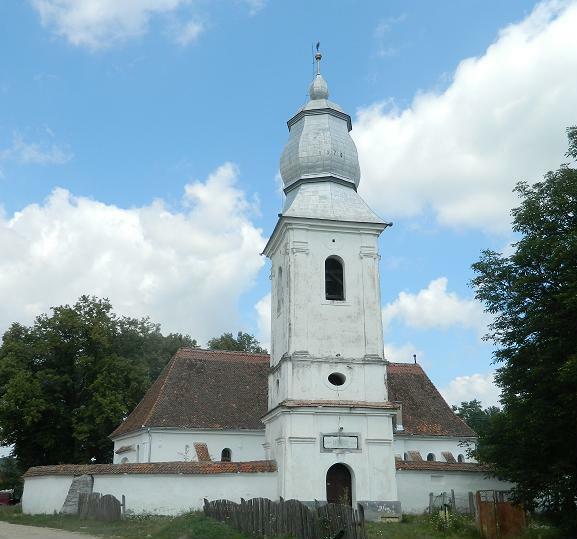 It is 26 km from Brassó, 35 km from Kovászna and Tusnádfürdő, 50 km from St. Anna Lake. The pension is surrounded by forests and clearings. The panorama from Kövesponk Mountain (642m), about 15 minutes hike, is stunning. One can see the recess of Barcaság, Haromszék and the alps (Csukás, Bucsecs, Nagykőhavas, Keresztényhavasok, Fogaras, Barót and Bodok) surrounding it. The quiet environment, the clean and ozone saturated air and the pension’s situation in its attractive environment is perfect for getting away from the city and the congested luxury hotels in order to recuperate and rest in nature itself. The pension is able to accommodate 23 people. Our rooms: 3 double rooms, 4 triple rooms and 1 apartment. Our rooms are spacious and comfortable with an excellent view of the Haromszek recess and the neighboring mountains and forests. There are on-suite washrooms, color TVs, spacious living rooms and kitchenettes. You arrive as guests and leave as our friend! 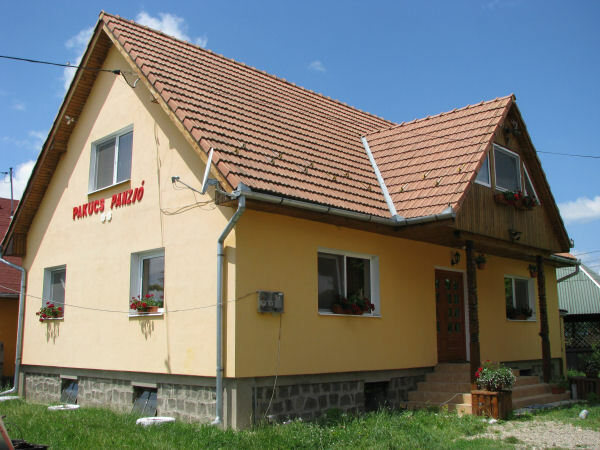 The Téglás Pension is in Bikfalva, 15 km from Sepsiszentgyörgy, with 14 rooms, 1 apartment, a restaurant for 60 guests and closed parking. 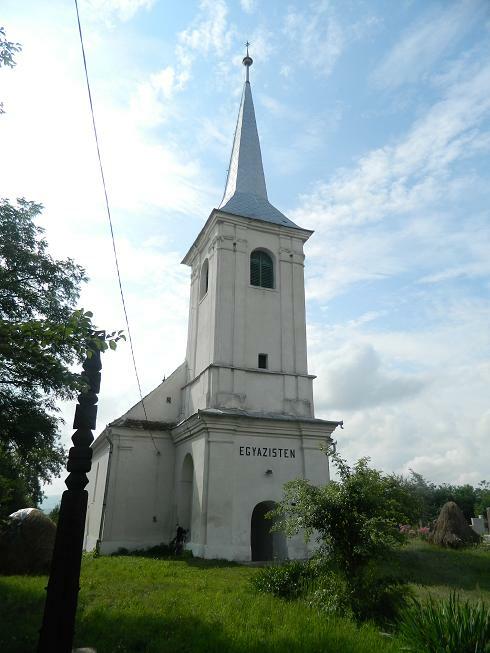 Bikfalva is 5 km from Uzon, through which the county’s most important road passes connecting Brassó – Uzon – Kézdivásárhely – Ojtoz, therefore connecting Teglas Pension with the national road network. 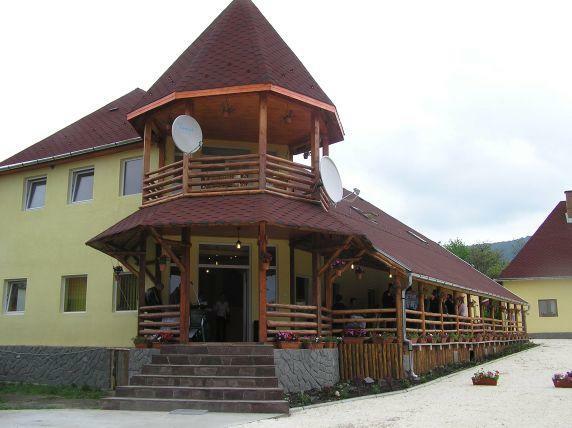 The pension is in a picturesque surrounding, at the foot of the Bodzaforduló mountains 15 km from Sepsiszentgyörgy, Szeklerland’s oldest city. 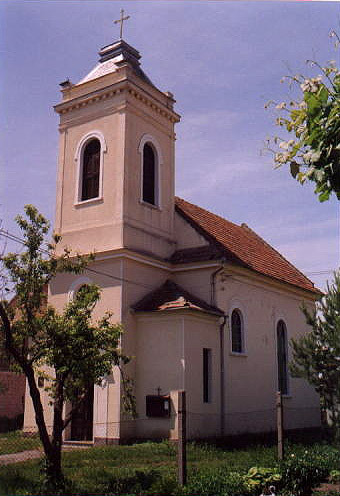 Bikfalva, a historical village, belongs to the municipality of Uzon. It is 25 km from Brassó. One can reach Brassó via Uzon, using roads DN-10, DN-11 (E-574). You can also reach it by train (27 km). Bikfalva is 5 km from Uzon, accessible by DN-103 paved road at an altitude of 565 m, in a picturesque setting, on the west side of the forest covered Bodza mountains. The population is 379 (2002 census). 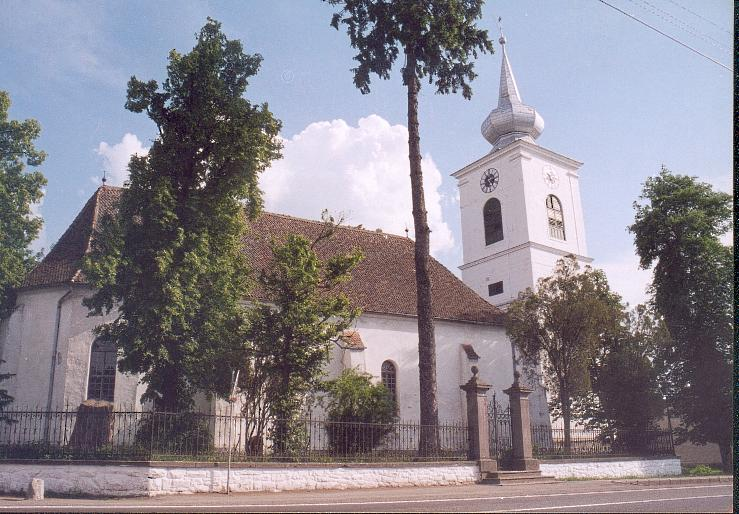 It is mainly inhabited by Szekler- Hungarians. At the 2002 census only 27 people considered themselves of Romanian nationality. It is first mentioned in 1479 as Bykfalva. The clean watered mountain creeks streaming down from the mountain framework, all connect in the village. 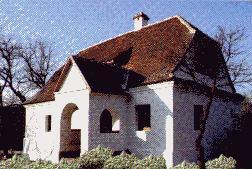 There are several monumental manor-houses and country-houses in Bikfalva. 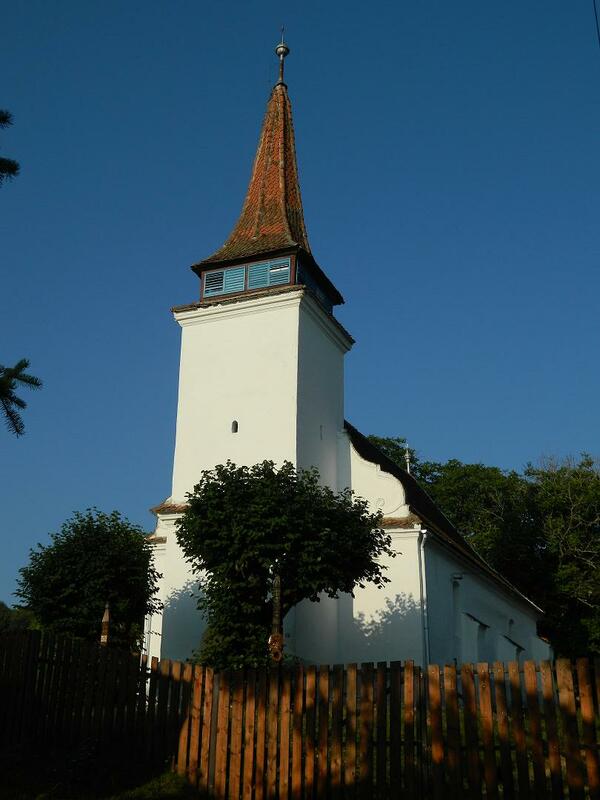 Rediscovering Country Life Hussar House has grown naturally around a stud farm for Lipizzaner horses twenty-five kilometers from Brasov, in the village of Bicfalau, Covasna County. 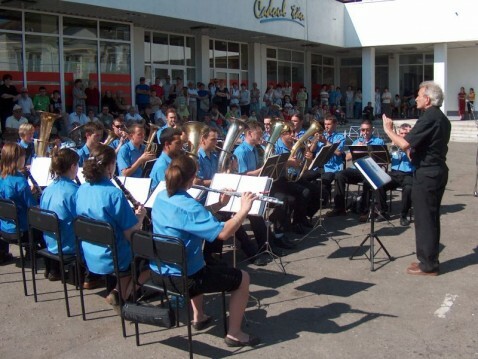 Alex „Doctorul” Farkas Johansson, and Rodica Johansson are your hosts at the manor, and Eno is your guide in the valleys and mountains. 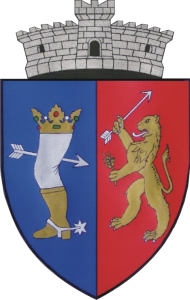 The arms of the Farkas family (the name means „wolf” in Hungarian), which have pride of place in the manor’s great hall, date from 1576. Our guesthouse is able to accommodate ten guests with washroom and cable TV separate for each room. It is possible to cook in our modern and well equipped kitchen, but upon agreement we also provide food and beverage service. It is possible to go fishing at the nearby lakes in Szentivánlaborfalva, Réty and Besenyő. 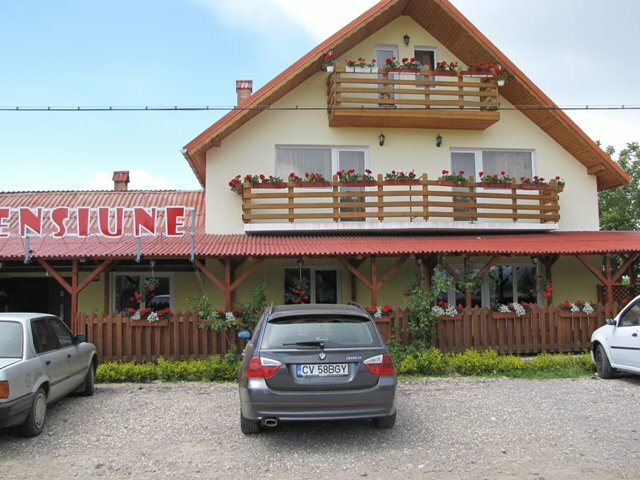 The guesthouse is located near the towns of Sepsiszentgyörgy, Brassó, Kézdivásárhely and Kovászna and we welcome you in an original village setting. M-F : 8 am–4 pm Tel.0267/347256 Gábor Áron St. No.101/8..